The Church of the Nazarene is encouraging congregations to participate in this international day of prayer for human trafficking. 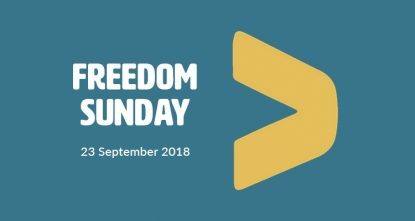 If your church is unable to participate on this specific Sunday, we encourage you to schedule your own Freedom Sunday to dedicate to prayer for the end of modern day slavery. There are free resources available for churches interested in incorporating Freedom Sunday to their worship service.